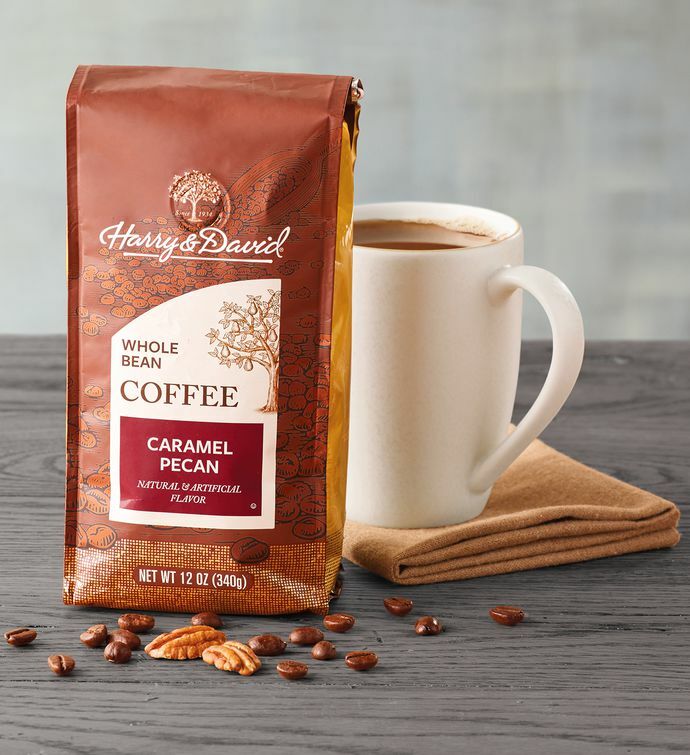 Wake up to the sweet aroma of buttery pecans and caramel coffee dancing on the crisp morning air from the coffeepot to the bedroom. This satisfying blend of richly roasted Arabica beans and indulgent dessert flavors is the perfect complement to a brilliant morning, whether the sun is shining or snow is falling. It makes a wonderful flavored coffee gift.